Moondara is the brainchild of Neil Prentice, one of Walhalla’s more eccentric winemakers. Not that eccentricity is by any means a bad thing in the wine industry; indeed, it is from the oddballs and lone voices that most of the interesting and groundbreaking produce of the wine world comes. 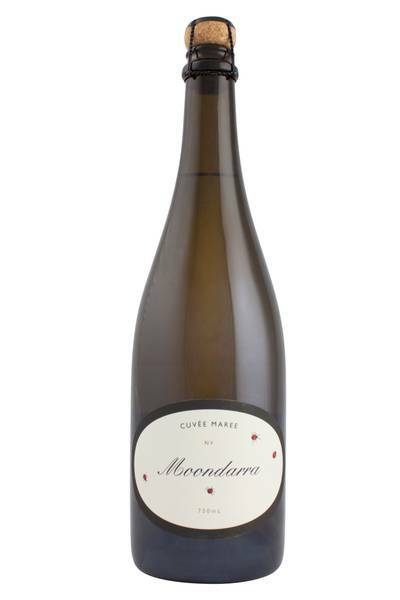 To give you an example of Moondara’s singular vision and sense of humour, just take a look at the name of their leading Pinot Noir - ‘Conception’ - so-called, due to the fact that Prentice’s eldest son was conceived in the middle of the vineyard. Nice! Neil Prentice is an iconoclast, making a range of eccentric wines and raising wagyu cattle on his property at the foot of Mt BawBaw in Gippsland. Not all his wines are wild, however, as this pristine and elegant sparkling wine shows. 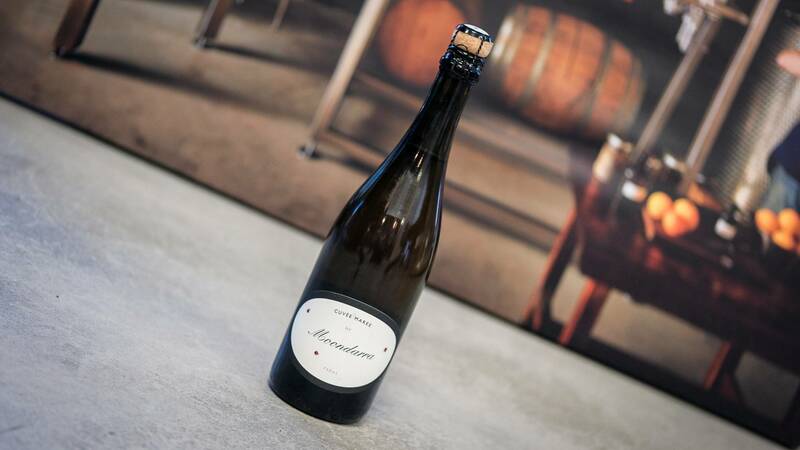 Named after his wife Maree, this is a dry, aperitif-style sparkling wine made mostly from Pinot Noir with a touch of Chardonnay. Australian sparkling wine is one of the great food pairing wines of the world, matching as it does with a massively wide range of dishes, flavours and ingredients. It goes brilliantly with fried foods, the acidity and effervescence cutting through the fat like a cold knife, and it also pairs up brilliantly with tricky wine-matching foods like salads, curries, and canapes. So, whether you pour yourself a long glass of this fizz to have with your fish and chips in front of the TV, or serve it to your garden party guests, it’s a fantastic, flexible example of great Aussie produce.